Hitting the music scene is AL+Phonz. 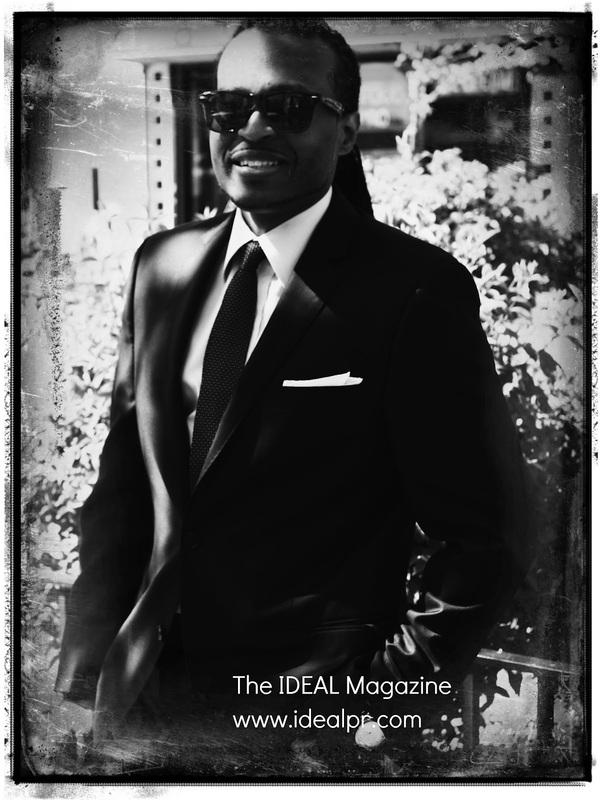 The IDEAL Magazine did a Q&A with this emerging artist to discuss his sound, his project and his thoughts. "AL+Phonz is socially conscious classy Hip-Hop celebrated worldwide. The understanding of various dynamic lifestyles, influences and trends are included in the music while still having fun and good vibes. The result is no profanity, various story lines, romance, spirituality and life celebrations." "I am a native New Yorker born in Brooklyn in Kings County Hospital. I am from African American, Native American and Puerto Rican ancestry. I wear locks because initially it was a Hip-Hop style and then I started another set and grew them for more spiritual reasons. I currently call Brooklyn my home. Broooookllllyyyyn!" Educationally, what areas are you trained in and how did your connect to music professionally? "In Day Care at the early age of 5 when I was graduating to first grade I was placed on stage to do a dance routine and I can remember it vividly as yesterday. I had on a navy blue suit with a red bow tie and some Buster Brown Shoes with the laces! Shinny shoes, bright smile and a low afro made me feel elated to be a part of a grand celebration...I walked on stage and started to do my dance and all I can remember is a wave of positive energy coming towards me that made me dance, dance, dance! I stayed on the stage as long as I could until the curtains closed! My first performance a success and I haven't stopped since! Then in elementary school PS 155 I was a part of the gospel choir in my church and I loved how the band would play in unison...I also was in school plays in PS 155 and the school choir. Upon graduation I went to Junior High School 271 where we had band class. I was given a shiny brass trumpet to learn. I practiced and learned the notes and scales which was my introduction to reading music. In HS of Fashion Industries where I studied Business and Fashion Merchandising I learned how to rock the turntables and the microphone. I listened to the radio every night looking for the hottest sounds to be ahead of the curve. I continued to NY College of Technology (City Tech) where I released several mix-tapes and obtained my Associates in Arts degree in Liberal Arts. Thereafter while attending Hampton University I learned to master my ASR-10 keyboard and record songs of myself, local and major recording artist in my dorm room and at the radio station. I always knew I was going to be an artist even at that time having major success as an all around media pro. I hosted an one hour television variety show, DJed for the Hip-Hop/R&B concerts, radio and clubs, recorded my freestyles on my mix-tapes, performed at the Culture Create where I DJed, rapped and performed with live bands and earned my Bachelor of Arts Degree in Mass Media Emphasis in Broadcast Journalism and Cinema Studies. The Real HU." "I started playing the trumpet in Junior High School and I am a professional DJ. What is a professional DJ some people ask? I have played the Turntable as a full time career and now I am focusing my talents as a full time artist and music producer. I now love to play the keyboard using various styles and techniques. My focus is playing the keys although I may sample music sparingly. My influences are from Jazz, Gospel, 70's and 80's R&B, Reggae, 80's House and 80's Rock. I started producing tracks with a SP 1200 drum machine and then went to the ASR-10 keyboard. I use any program that has sounds. Now using computers it is a great feeling to have over hundreds of thousands of sounds at my fingertips. Primarily I use Ableton LIVE, Garage Band, Reason and Pro Tools. I had a room full of over 10,000 records that I would use for production and then I taught myself how to play the keys. I like creating original tracks more but I still like that sampled sound. Playing the keys is different from sampling in the aspect that you are the band. I would think like the bass player when I am using the bass notes of the keyboard. Playing the drums I would also work on a groove or dance sound to keep the body moving and feeling good. Once I add the keys I would layer various sounds in order to create my band sound. Now I have a band entitled "AL+Phonz and The Love Sound." Ironically my music is already prepared for the band to play live because of my recording technique. I have also used live instruments on my songs including Saxaphone, Bass, Guitar and even water bottles!" WHAT IS "ALL OR EVERYTHING?" "My album "All Or Everything" is an album that will consist of various styles that I have learned to enjoy throughout my life. The title suggest that completing this album I want All Or Everything that GOD has for me. I have placed on this album various insightful songs that will be Hip-Hop with a variety of musical styles. Some people say All or Nothing, I said there is no turning back and this is my destiny, hence the title All Or Everything!" 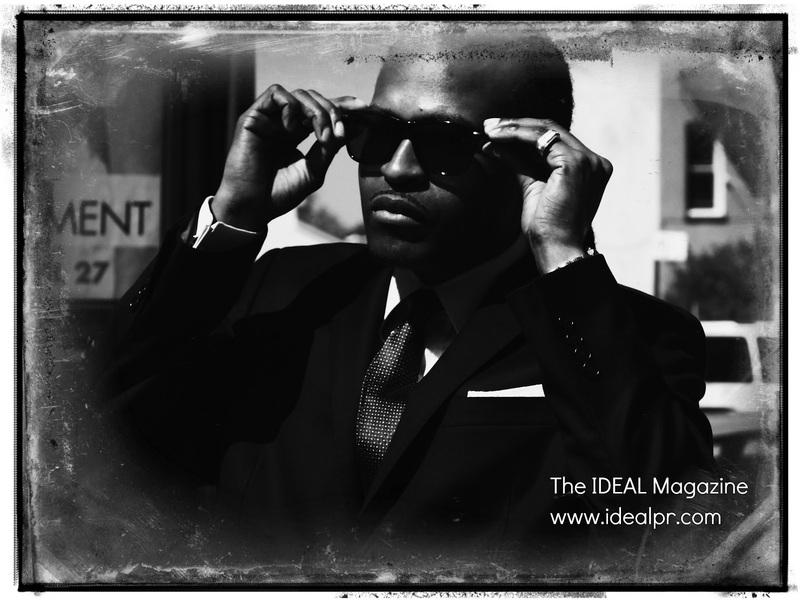 "I would describe my sound as Advanced Futuristic, Soul, Hip-Hop with a message. I would say that I use an 808 drum sound on some tracks and make it my own. I would add my own vibe to the track and create a message or basically whats on my mind that is relevant to the audience. The result will be a group of songs that cohesively create a warm ambiance for now and generations to come. If you notice my songs typically have their own feeling or sound which make them original classics. I am working towards making music that you will enjoy as well as the children and their children enjoying my music." "If AL+Phonz music were to fit in a rotation of artist it would be Nas earlier work due to the depiction of inner city life on some songs, Lauryn Hill for the feeling of the vocals being true, Bob Marley because of his music work ethic and business prowess , Ludicris for the fun and witty style and Common for the poetic flow. I would also rank my tracks with the likes of Dr. Dre for the unique keys, Timbaland for the drums on some of my tracks and Swizz Beatz for the heavy Bass Drums and wild percussion on various tracks." What are you looking forward to in the future regarding your music? "I would like for AL+Phonz to become a household name for making insightful, compelling, positive music that creates change for the better of society as a whole. I will make the best quality music that I can in order to create videos, film, publications, television series and wonderful works of art that will add value to me and the lives of my fan base. Being gifted in a variety of fields has its' rewards and I look to use all of my gifts to continue being the best that I can. Perhaps someone watching or reading this article will find it in them to make a positive impact on the lives of others around them as well. A shift in awareness and consciousness starts one step at a time. The result will include ...we will have that in the next interview." Thank you to Neeta at Ideal PR and Cassie at Photo Creations By Cassie for a rewarding interview process. I am honored. If you have any questions out there just ask. Thanks for all the love. AL+Phonz.